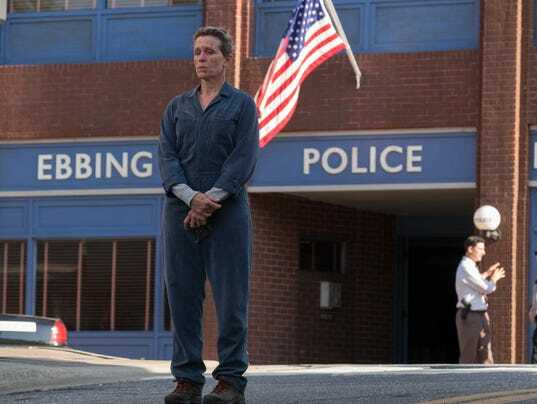 Personal loss, justice, and forgiveness are central themes to the new film from Martin McDonagh, Three Billboards Outside Ebbing, Missouri. A tragic crime has occurred in this small rural town, and the seemingly apathetic job from law enforcement leaves Mildred (Frances McDormand) no choice but to buy out a series of billboards that specifically call out the local Sheriff Willoughby (Woody Harrelson) for his lackadaisical approach. Of course, news travels fast in a small town like Ebbing, and soon the billboards are even being featured on late night news. This spawns a public rivalry of sorts between Willoughby and Mildred, one that soon spirals out of control and quickly consumes a colorful assortment of Ebbing citizens. Martin McDonagh’s long awaited follow-up to Seven Psychopaths (2012) doesn’t quite hit the same absurdist notes its predecessor did, but it does supply us with an engaging story delivered through an awkward mix of tragic comedy and melodrama. McDonagh is a writer and director who takes great pleasure in manipulating his audiences; one minute we are feeling intimately sorry for a character, the next – they are blowing their own brains out. It’s in the same storytelling vein as someone like Tarantino or Kevin Smith, but delivered with such black comedic undertones that it both welcomely and uncomfortably upsets the narrative flow. The emotional shapeshifting of a film like this provides us with a plot that is truly unpredictable while being a lot of gaudy fun. Most of the characters we meet in Three Billboards are variations on well known tropes, with Mildred being the strong exception. McDormand is the obvious standout here, and her jaded ferocity shines through in every scene. Her son Robbie (Lucas Hedges) is also wonderfully bleak, providing Hedges with another notable role under his young acting belt. Things really become complicated in the film’s hasty last act. McDonagh is an accomplished writer, and though his characters never quite earn the moral sympathy we should be giving them, the story all comes together in a satisfying, singular way. Bottom Line: Tonally inconsistent but always entertaining, McDonagh’s latest delivers his signature affinity for black comedy in an emotionally challenging but deeply uncomfortable manner.